Tags: idle, champions, early, access, update, event, fleetswake, fleetsweek, zorbo, gnome, archer, ranger. 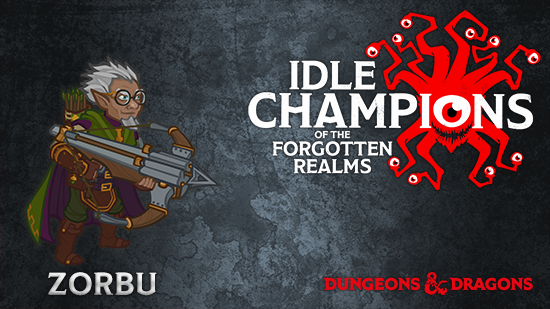 Fleetswake is our eighth limited-time event for Idle Champions, starting today and running until Monday, March 19th at noon PDT, and introducing Zorbu "Thunderbolt" Natten, the Gnome Ranger! When you want to add Zorbu to your party, you can swap him with Arkhan. Added the Fleetswake event, our eighth limited-time campaign event! The event will run until Monday, March 19th at noon PDT. Added a new Champion: Zorbu "Thunderbolt" Natten. Added a new event Divine Favor: Umberlee's Favor. Added a setting to disable screen shaking.